Medical technology is a wonderful thing. It’s saving lives and creating miracles, day in and day out. For couples struggling with fertility, there are some pretty advanced options out there, technologically speaking. These options – sometimes referred to as “Advanced Reproductive Therapy” or “Assisted Reproductive Technlology” (ART) can make the difference between being childless or adopting a child and having a child that’s biologically your own. Around 40,000 births in the United States each year are the result of ART. Use of ART has been steadily increasing over the past two decades. One reason for this increase has to do with the fact that couples are waiting until they’re older to have children and are more likely to need a little help at that point. The odds of successful ART depend on your age. About 40% of women under the age of 35 will have a successful pregnancy with ART. That drops to 30% at age 35, 20% at age 38, and 10% for women between 41 and 42. Over the age of 42, ART fails in all but the rarest of cases. Intrauterine Insemination (IUI): This procedure is one of the least expensive and often the first attempted ART. You’ve probably heard it called by a more general term, “Artificial Insemination.” AI can refer to IUI in which your sperm is injected directly into the uterus (the most common type) or it can refer to intracervical insemination, where the sperm is placed in the cervix. In either case, it’s done using a tool that resembles a turkey baster. IUI is often used when donor sperm are needed, or when you have a low sperm count. In Vitro Fertilization (IVF): IVF is a much more involved procedure than artificial insemination. A fertility specialist can use the partners’ sperm and eggs, or donor sperm or eggs. The egg is fertilized in the laboratory and then placed directly into the woman’s uterus. IVF is used when a woman’s fallopian tubes are damaged, when a woman has endometriosis, and even in some cases where the man has a fertility problem such as abnormal sperm, low sperm motility or a low sperm count. 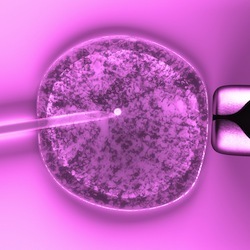 Intracytoplasmic Sperm Injection (ICSI): This ART is especially useful when male fertility is the primary cause of the couple’s difficulty. During this procedure, a single sperm is injected directly into the egg. If the egg fertilizes, it’s then implanted as in IVF. ICSI is one of the fastest-growing fertility procedures, and some studies even suggest that this procedure may result in higher rates of birth defects. Gamete Intrafallopian Transfer and Zygote Intrafallopian Transfer (GIFT and ZIFT): These two procedures make up only about 2% of IVF procedures. They involve the transfer of the gametes (the partners’ egg and sperm) into the fallopian tubes, rather than into the uterus. With GIFT, the gametes are transferred separately; with ZIFT, the egg is fertilized first and then later transferred. Ultimately, it’s up to you and your doctors what type of ART might be right for you. Knowing what your options are and what the prognosis is for success allows you to make an informed decision about what can be a very expensive procedure.